Hezbollah leader Hassan Nasrallah on Thursday boasted that his rockets can reach Israel’s nuclear reactor in the southern city of Dimona, and said he would turn Israel’s reported nuclear arsenal against it. Nasrallah, who had previously threatened to target an ammonia tank in Haifa, claimed credit for an Israeli court decision to shut down that facility this week and said he would do the same with the nuclear reactor. “I call upon the Israeli not only to evacuate the Ammonia tank from Haifa, but also to dismantle Dimona nuclear facility,” Nasrallah said at a rally, warning that he would target Dimona too. “The Israeli nuclear weapon that represents a threat to the entire region, we will turn it into a threat to Israel,” he claimed. On his first trip abroad as U.S. secretary of state, Rex Tillerson was forced to stay at a sanitarium in a German village known for its hot springs, 30 minutes from where other world leaders gathered. Diplomatic security agents mingled in the parking lot with elderly people in wheelchairs arriving for spa treatments. Tillerson, the former head of Exxon Mobil Corp., was at the sanitarium because Bonn’s hotels were all booked by the time he confirmed his attendance at this week’s Group of 20 meeting. Counterparts including U.K. Foreign Secretary Boris Johnson had to make a trek out to meet him. The unusual diplomatic debut continued during an awkward encounter with Russian Foreign Minister Sergei Lavrov. After Lavrov delivered some perfunctory opening remarks alongside Tillerson, U.S. aides quickly ushered reporters from the room. “Why did they shush them out?” Lavrov asked. Days after North Korea tested a new, dangerous missile type and allegedly engaged agents to assassinate Kim Jong Un’s half-brother in Malaysia, the US plans to send the big guns to the Pacific in a massive show of force. The USS Carl Vinson has been making its way to the Pacific, and it will be joined by the world’s most lethal combat plane, the F-22s, a nuclear-powered submarine, and possibly B-1 and B-2 nuclear-capable bombers. 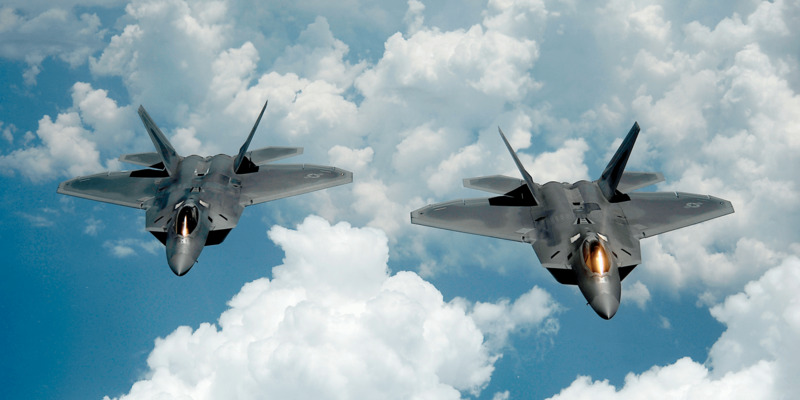 “The two sides have agreed to send such weapons as the F-22 stealth fighter and a nuclear-powered submarine to the Key Resolve and Foal Eagle exercises in March,” a defense officialtold South Korea’s Yonhap News Agency. A man and a second woman have been arrested in connection with the killing of Kim Jong-nam, the North Korean leader’s half-brother, who was reportedly poisoned by two female assassins as he waited for a flight in Malaysia, police have said. The suspects were picked up separately on Wednesday and Thursday. The female suspects were identified using surveillance footage from Kuala Lumpur International airport, where Kim Jong-nam fell ill on Monday morning before dying on the way to the hospital. The Malaysian inspector general said the second female suspect had been identified as Siti Aishah, an Indonesian national. Her birthday was given as 11 February 1992, and place of birth as Serang, Indonesia. It is not clear if her passport was genuine. Police official Abdul Samah said officers had also detained a Malaysian man, who is believed to be the boyfriend of the second female suspect. DID ‘CARELESS’ FACEBOOK USE LEAD TO KIM JONG-NAM’S DEATH? Kim Jong-Nam’s ‘careless’ use of Facebook and emails may have led to his assassination, it has been reported. The 46-year-old half-brother of Kim Jong-un, poisoned to death by two female operatives in Kuala Lumpur, posted numerous pictures of himself online along with comments. His Facebook page was under the name ‘Kim Chol’, the same name used on the passport he had in his possession when he died on Monday. Donald Trump is having sensitive information withheld from him by US intelligence officials and spies, according to a new report. The report, published by the Wall Street Journal, claims the reason behind not telling the president the whole truth is that officials fear the information could be leaked or compromised after it got to him. The Journal cited multiple current and former officials with knowledge of the alleged withholding of information. When the internet was first built in the 1970s, it was seen as one of the greatest innovations of our time. But Eric Schmidt, executive chairman of Alphabet and former CEO of Google, has suggested that the initial build of the net may have missed a trick. Iran’s warning comes on the heels of a Washington Free Beacon report disclosing that former national security adviser Michael Flynn had been pushed out of office partly due to his intention to release these sensitive documents to the American public. BRUSSELS — U.S. Defense Secretary Jim Mattis on Wednesday issued a sharp ultimatum to NATO Wednesday, telling allies they must start increasing defense spending by year’s end or the Trump administration will “moderate its commitment” to them. Echoing a demand made repeatedly by President Trump, Mattis said NATO must adopt a plan this year that sets milestone dates for governments to meet a military funding goal of 2 percent of gross domestic product. A major split could soon take place in Italy’s Democratic Party over disagreements about the ambitions of former Prime Minister Matteo Renzi, La Stampa reported Feb. 16. Renzi, who recently stepped down as party head to trigger new leadership elections in a bid to shore up intraparty support, wants Italy to hold new parliamentary elections, possibly by this summer. A faction of members opposed to this plan has now surfaced. This group wants the government led by current Prime Minister Paolo Gentiloni to finish its mandate and hold elections in early 2018. According to leading members from this group, the faction has reached an agreement to create a new political party to the left of the Democratic Party, if Renzi refuses to agree to its position. With the Democratic Party set to hold a party summit over the coming weekend, things could quickly come to a head. The creation of a new, farther left party would lead to an even more fragmented parliament in Italy. U.S. Secretary of Defense James Mattis issued assurances that the U.S.-led coalition will provide more support to Turkey’s Euphrates Shield Operation during his first meeting with his Turkish counterpart Fikri Işık late on Feb. 15 on the margins of a NATO summit in Brussels, according to Turkish officials. Işık, meanwhile, repeated Ankara’s long-standing demand from the U.S. to cease its cooperation with Syrian Kurdish People’s Protection Units (YPG) elements in the fight against the Islamic State of Iraq and the Levant (ISIL), a Turkish Defense Ministry official stated. “Anti-terror operations cannot succeed in this way. One terrorist organization cannot be preferred over another one,” Işık reportedly said, referring to the fight against the ISIL. Turkey sees the PYD and its military wing, the Syrian Kurdish People’s Protection Unit (YPG), as terrorist organizations due to their links to the outlawed Kurdistan Workers’ Party (PKK). At the NATO meeting in Brussels, Işık also met counterparts from Spain, Italy, the U.K. and France. Meanwhile, a Syrian Kurdish leader said that Syrian Kurdish forces and their allies expect continued U.S. support for their war against ISIL in northern Syria and will fight Turkish forces if they advance towards Raqqa, ISIL’s de facto capital in Syria. The Pentagon said it wouldn’t use depleted uranium rounds against ISIS. Months later it did. Thousands of times. Months after the Pentagon said it wouldn’t use a controversial type of armor-piercing ammunition that has been blamed for long-term health complications, U.S. aircraft fired thousands of the rounds during two high-profile air raids in Syria in November 2015, the Pentagon acknowledged Wednesday.The use of the ammunition, a 30mm depleted-uranium bullet called PGU-14, was first reported by a joint Air Wars-Foreign Policy investigation on Tuesday. The roughly 5,265 rounds of the munition were fired from multiple A-10 ground attack aircraft on Nov 16, 2015, and Nov. 22, 2015, in airstrikes in Syria’s eastern desert that targeted the Islamic State’s oil supply during Operation Tidal Wave II, said Maj. Josh Jacques, a U.S. Central Command spokesman. When loaded with depleted-uranium bullets the A-10’s fired what is called a “combat-mix,” meaning the aircraft’s cannon fires five depleted-uranium rounds to one high explosive incendiary bullet. NORTH CHARLESTON, S.C. — Production workers at Boeing’s South Carolina plant have rejected an effort to unionize, maintaining Southern reluctance toward unionization and setting up a picture-perfect stop for President Trump, who visits the facilities this week. Beijing has foreign maritime surveillance in its sights with plans to demand all foreign submersibles stick to the surface in Chinese waters. The demands are part of proposed amendments to the maritime safety law released for public comment on Tuesday. Analysts said the draft changes reflected Chinese unease about the vehicles – particularly in disputed waters – but would be difficult to enforce. Under the draft, foreign underwater surveillance craft would have to sail on the surface and display their national flag in Chinese waters. Chinese maritime authorities would also have to be informed of their movements. In addition, Chinese maritime authorities would also be allowed to stop foreign ships entering Chinese waters if the vessels were deemed to cause harm to navigational safety and order. On Wednesday China responded to rumblings about the US planning fresh naval patrols in the South China Sea by warning Washington not to impose on their sovereignty. The Navy Times reported on Sunday that officials with the Pacific Command and US Navy were considering having the Carl Vinson carrier strike group, based in San Diego, conduct freedom of navigation patrols in the waterway. Geng Shuang, spokesman for China’s Foreign Ministry, said that tensions in the disputed area had eased due to cooperation between Beijing and countries in Southeast Asia, and the presence of foreign nations could threaten this. October 2016 was the last time a US vessel conducted a freedom of navigation patrol in waters claimed by Beijing when the USS Decatur, a guided-missile destroyer, sailed near the Parcel Islands. China denounced the operation as “illegal” and “provocative.” The last three of these movement have all come within 12 miles of areas claimed by Beijing. “The Carl Vinson Strike Group is on a regularly scheduled Western Pacific deployment as part of the US Pacific Fleet-led initiative to extend the command and control functions of the US 3rd Fleet,” said Dave Bennett, Carrier Strike Group One spokesman. Jordan illegally annexed the West Bank in 1950, and from that time Palestinian nationalism has been deadly for the Kingdom. “I call on the Palestinian people to elect new leaders, leaders not compromised by terror… to build a practicing democracy, based on tolerance and liberty. If the Palestinian people actively pursue these goals, America and the world will actively support their efforts…. A Palestinian state will never be created by terror — it will be built through reform. And reform must be more than cosmetic change, or veiled attempts to preserve the status quo.” — President George W. Bush, 2002. “There’s no way a deal can be made if they’re not ready to acknowledge a very, very great and important country.” — President Donald J. Trump, 2017. The scandal-hit bank that loaned hundreds of millions of dollars to Donald Trumphas conducted a close internal examination of the US president’s personal account to gauge whether there are any suspicious connections to Russia, the Guardian has learned. Deutsche Bank, which is under investigation by the US Department of Justice and is facing intense regulatory scrutiny, was looking for evidence of whether recent loans to Trump, which were struck in highly unusual circumstances, may have been underpinned by financial guarantees from Moscow. The Guardian has also learned that the president’s immediate family are Deutsche clients. The bank examined accounts held by Ivanka Trump, the president’s daughter, her husband, Jared Kushner, who serves as a White House adviser, and Kushner’s mother. WASHINGTON — The nation’s top military officer will try to reopen a military dialogue with his Russian counterpart on Thursday amid tensions over Russia’s harassment of American warships, stepped-up fighting in eastern Ukraine and accusations that Moscow has violated a landmark arms control accord. The meeting between Gen. Joseph F. Dunford Jr., the chairman of the Joint Chiefs of Staff, and Gen. Valery V. Gerasimov, chief of the Russian general staff, will take place in Baku, the capital of Azerbaijan. The Syrian Observatory for Human Rights said the dead in air strikes and shelling on the town of Al-Bab in the last 24 hours included 11 children. Turkey’s army, quoted by the state-run Anadolu news agency, said it had killed 15 “terrorists” in air strikes, artillery fire and clashes. Al-Bab is IS’s final stronghold in the northern Syrian province of Aleppo and has come under fierce attack by Turkish forces and allied Syrian rebels in recent months. Turkey’s defense minister said on Thursday the new U.S. administration has a more flexible approach to Syria and is not insisting on the Kurdish YPG militia being involved in the operation to drive Islamic State from its Raqqa stronghold. U.S. support for the Syrian Democratic Forces, an alliance dominated by the YPG, has caused tensions with NATO ally Turkey, which views the Kurdish militia as an extension of militants fighting on its own soil. “If we want the Raqqa operation to be successful, then it should be carried out with Arab forces in the region and not the YPG,” Turkish Defense Minister Fikri Isik told reporters in Brussels. BEIRUT, LEBANON (10:20 P.M.) – The North American Treaty Organization (NATO) has ruled out military operations against the Islamic State (ISIS) in Syria, NATO Secretary General Jens Stoltenberg said on Wednesday. With its largest member, the United States (U.S.), currently conducting field operations alongside the Kurdish-led “Syrian Democratic Forces” (SDF) and “People’s Protection Units” (YPG) in northern Syria, rumors surfaced about possible NATO participation. BENGALURU: India and Russia are nearing a joint venture to make light helicopters in India, reviving a plan announced by Russian President Vladimir Putin in 2015. India needs to replace hundreds of ageing utility helicopters deployed along its Himalayan border with China as well as in Jammu and Kashmir region. This means an initial order of 200 Kamov-226 helicopters, of which 140 will be built in India as part of Prime Minister Narendra Modi‘s drive to build a domestic defence industrial base and cut imports, is expected to be increased. 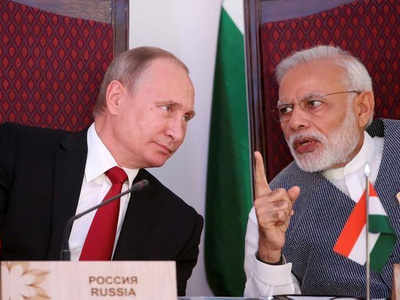 And final documents relating to the $1 billion Kamov deal involving Russian Helicopters, Rosoboronexport and India’s state-run Hindustan Aeronautics (HAL) has been submitted to Putin, HAL’s chief T Suvarna Raju, told reporters on Wednesday. Europe is $100 billion short of strategic autonomy. Berlin could close that gap. The United States will meet its commitments in Europe but NATO’s European members have to step up on their defense spending — that’s the message U.S. Defense Secretary James Mattis will try to hammer home when he meets with European counterparts in Brussels. What we’re not likely to hear is that the answer to the alliance’s spending woes largely hinges on just one country: Germany. The parliamentary panel is investigating alleged eavesdropping in Germany by the U.S. National Security Agency and its relationship with German counterparts. The inquiry was launched a year after former NSA contractor Edward Snowden revealed details of secret U.S. eavesdropping programs in 2013. Reports later in 2013 that the NSA listened in on German government phones, including Merkel’s, prompted a diplomatic spat between Berlin and Washington that for a time soured otherwise good relations with the Obama administration. BERLIN Chancellor Angela Merkel testified Thursday to a parliamentary committee examining alleged U.S. surveillance in Germany and the activities of German intelligence, defending her insistence that “spying among friends” is unacceptable. MANILA (Reuters) – Russia’s top security official on Thursday offered the Philippines access to an intelligence database to help it fight crime and militancy, and training for the elite forces assigned to protect President Rodrigo Duterte. Nikolai Patrushev, the secretary of Russia’s Security Council and Vladimir Putin’s top security adviser, made the offer during a meeting between Russian and Philippine security officials in Davao, where he was visiting Duterte at his home city. Defense Secretary Delfin Lorenzana said the Russia had invited the Philippines to join a database-sharing system to help combat trans-national crime and terrorism, which he said could help track Islamist militants and their financial transactions. The next Air Force One should be anything other than a Boeing 747, even Northrop Grumman’s next generation stealth bomber would be a better choice, says a report by Wright Williams & Kelly (WWK). President Trump has tweeted that he finds the $3.2B projection for the Presidential Aircraft Recapitalization program to replace the Air Force’s Boeing 747 based VC-25 to be “out of control.” The report by WWK, a cost-reduction consultancy based in Northern California, focused on the Boeing 737 and the Northrop Grumman B-21 Raider, winner of the Air Force Long-Range Strike Bomber development contract, as possible alternatives to the heavy Boeing jet. Israel Air Force One is to make its debut this summer, not in time for the current Washington visit, but ready for the ones to follow. The first head of state to fly on an officially dedicated airplane was the king of England in 1928. Today there are some 120 countries whose heads of state or government have an official aircraft for their exclusive use, from the US with the famous Air Force One Boeing 747 at the top of the list to Uganda with a more modest Gulfstream executive jet. Until Israel’s prime ministerial aircraft’s scheduled debut this summer, our prime minister has been restricted to using Israel’s flag carrier El Al for security reasons and at a considerable cost. The Prime Minister’s Office has stated that “the protocol for flying the prime minister to meetings abroad hadn’t changed and is the same as was during previous administrations. APT28, blamed for the hack of the Democratic Party, releases Xagent malware that can steal iPhone backups. The same Russian hackers who were linked to the hacking of the US Democratic National Committee have now turned their attention to Apple’s Macintosh computers. APT28 has released new Xagent malware that creates backdoors into Macs, letting the hackers steal browser passwords, grab screenshots and nab iPhone backups stored on the computer, according to Romanian security software company Bitdefender. “Currently we don’t know what are the targeted organizations, but the links to the APT28 cybercrime group are obvious: The use of the same dropper/ downloader and similar command and control center URLs, as well as sine artifacts hardcoded in the binary files,” Bitdefender said. On 15 February, a pan-Kurdish conference was held in Moscow with the participation of opponents of the Turkish government and allies of the Democratic Union Party in Syria (PYD), showing that Russia is trying to balance its relations with Turkey and the Kurds. “Very pleased to see our national Kurdish conference in Moscow, which includes comrades from PYD, PUK [Patriotic Union of Kurdistan], Gorran and PJAK [Kurdistan Free Life Party]. 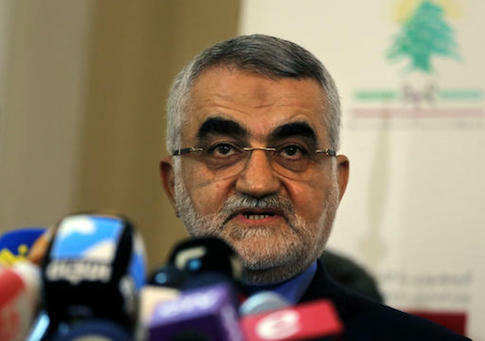 Unity is strength,” said Adel Murad, a co-founder of the PUK. “Politician Baydemir Osman showed our partners in the Moscow conference the reality of Erdogan’s war crimes against Kurdish civilians,” he added. The U.S. spends about 25 percent of its defense dollars on personnel, creating a well educated, well-motivated and very married–with–children force. Taking that out, we’re still spending three times the Chinese and more than six times the Russian budget. American forces have been fighting continuously for the past fifteen years, resulting in American equipment that is, for the most part, old and worn out, difficult to maintain, and being ground down on a daily basis. Spending on spare parts and depot level maintenance has had low priority and the repair lines are long.